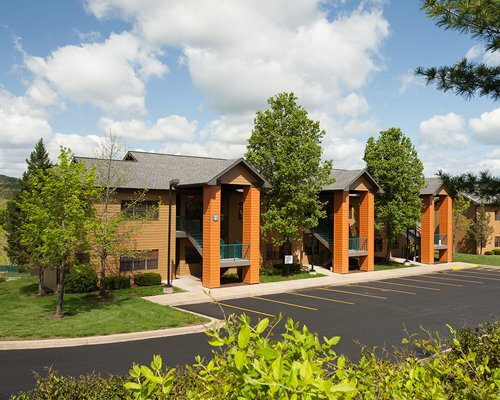 Located on almost 22 acres of forested land, The Falls Village is in an excellent location that's both beautiful, serene, and convenient to most major Branson attractions. 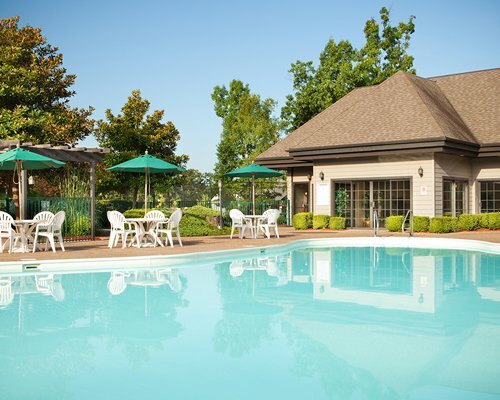 The resort itself has much to offer the vacationer. 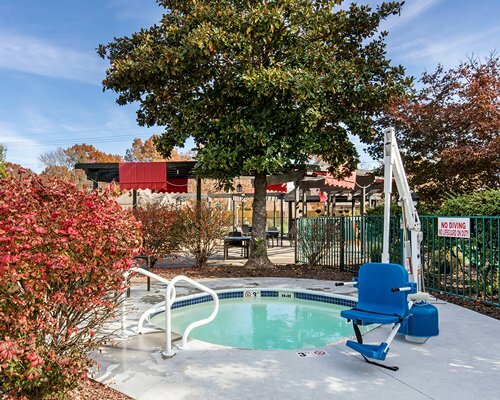 Amenities include indoor and outdoor pools with a covered children's pool, children's playground, an exercise room, a game room, whirlpool and hot tub, a picnic area with grills, and even mini-golf, basketball, and shuffleboard courts. 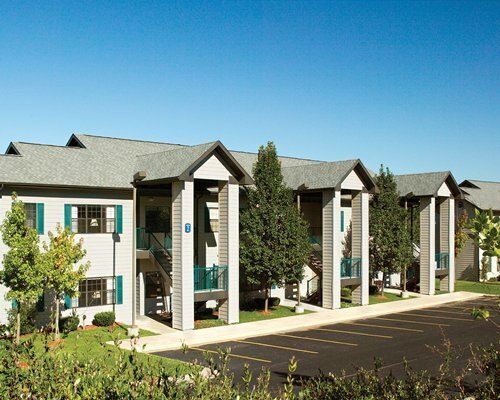 The units of The Falls Village, even the smaller ones, are large and have plenty of space to spare. 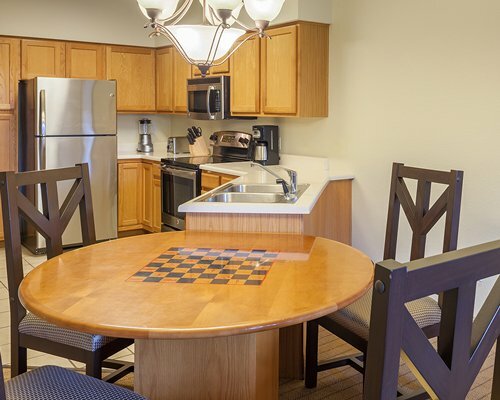 All units have a kitchen (and there's a grocery store nearby), either full or partial; air conditioning; and phone. Some units have a dishwasher and washer/dryer. Some have a heart-shaped hot tub in the master bedroom. A TV with cable service and DVD player is located in the living area of each unit, and there's often a second/third TV in the bedroom(s). Welcome to Branson, the 'live music show capital of the world', a town in the Ozarks of SW Missouri. 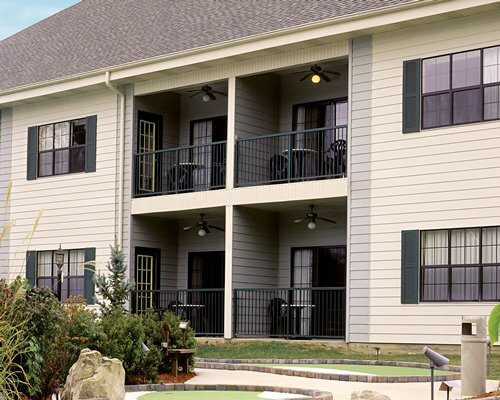 And it's also the home of The Falls Village Resort, the place to stay if being entertained is the goal. Although hunting and fishing were the mainstays of the town since the late 1800s, Branson's music industry, for which it has become famous, began in 1959. The community now has 50 theaters presenting live musical entertainment for every taste. The town also has more than a dozen golf courses, hiking, biking, and water sports on and in 3 pristine lakes. 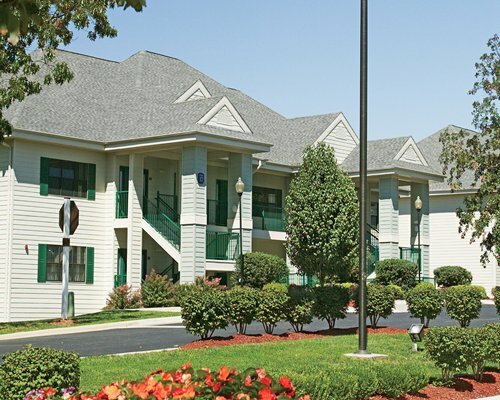 It all adds up to a community with a wholesome, family-friendly personality. FROM SPRINGFIELD AIRPORT - exit east onto Hwy 44. Take Hwy 44 to I-65 south (exit82) From Hwy 65, EXIT onto 248 Shepherd of Hills Expwy. At the intersection of Gretna Rd. and 248 is a traffic light. At the light go straight; follow Gretna Rd. (also 165). Go through 3 traffic lights. Turn left at the Sonic Drive-IN onto Falls Parkway. Turn right onto S. Fall Ave. Turn left on Creekside Road. The Clubhouse is at the top of the hill. Check-in at the Clubhouse front desk. FROM FAYETTE-VILLE ARKANSAS: Take Hwy 412 East to Hwy 65 North. Follow 65 North to Hwy 76 West and follow above directions. 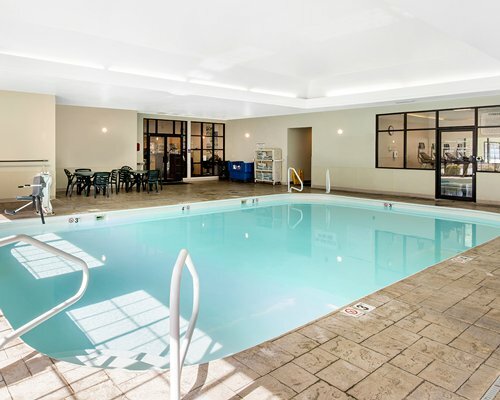 "Housekeeping fee for all RCI points reservations: There may be a fee of 57.00 U.S. dollars for 2 Bedroom units, per stay. Cash or Credit is accepted." "Housekeeping fee for all RCI points reservations: There may be a fee of 47.00 U.S. dollars for 2 Bedroom units, per stay. Cash or Credit is accepted." "Housekeeping fee for all RCI points reservations: There may be a fee of 37.00 U.S. dollars for Studio, per stay. Cash or Credit is accepted."